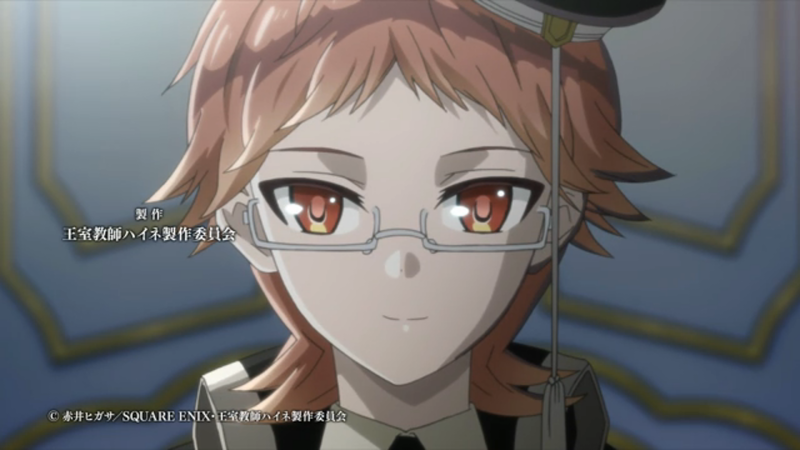 I Blog Anime: [Ended] The Royal Tutor, Simple is as Simple does. [Ended] The Royal Tutor, Simple is as Simple does. My Opinion: This is a Pretty Boy show, or Bishounen as I believe it is called. It's just fluff about a bunch of charmingly drawn guy characters faffing about in whatever colorful slice of life setting the author chooses, in this case, the tutor of a Monarchy's second to fifth princes. Honestly, that's about all it amounts to at the end of the day. There's never really any suspense, because right out of the gate they establish that Heine is the be-all-end-all solution to all problems. I will give the show credit for Heine's backstory having proper depth, but since all of the show is otherwise shallow, that amounts to merely average instead of outstanding. Leonhard was especially annoying for the early episodes, but since I ended up finishing the show, I guess I can't say it was too bad, he grows out of it to a decent degree. A realistic degree, I'm tempted to say. I fell like with a longer length, they could have played a few things weaker and slower, and also given the First Prince more screen time, and more material to flesh out the Counts story in all this in relation to the First Prince. It seems like there could be some dramatic depth there, but there isn't enough in the show as it is for me to judge whether that would have been well executed or not. Impartial Opinion: This is a lovely and simple show, and nothing more. Nothing amazing stands out, but it also doesn't have any glaring flaws. Some tropes may grate on the nerves, but that will ultimately amount to a personal problem, because the whole point of the show is that the Princes grow as characters, so things never grate for too long. Do you like Bishounen shows? Maybe you want to see what a Bishoujo show looks like in the mirror? Honestly I never cared for these kinds of shows, but I watched this all the way through to the end, so if nothing else, it's easy on the eyes and mind. I do not feel strongly about this one, one way or the other. It doesn't feel like I wasted my time, but on the same foot, I strongly wish I had more shows begging for my attention over this one. Perhaps in a more exciting set of season releases I would have overturned or dropped this one, but it filled time nicely and without incident.